Decorates your yard or garden with a playful touch? Comes in a set for a tremendous value? Is offered for a limited time at a great low price? 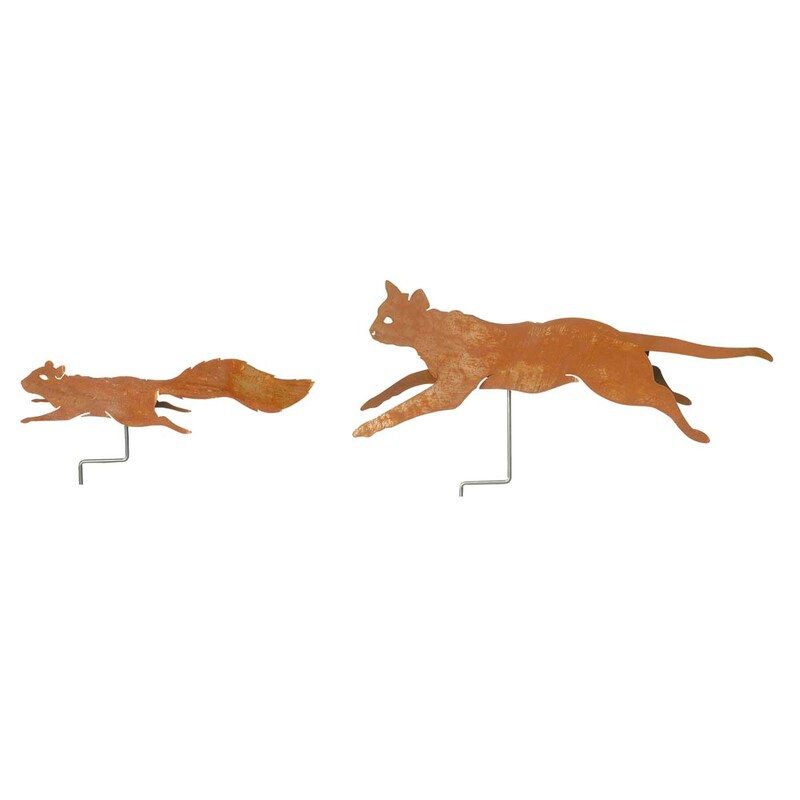 Weathered steel garden cat measures 23" long x 6" wide with a projection of 7" and the squirrel is 16 1/2" long x 3 1/4" wide with a 4" projection. The squirrel can be mounted on a branch of a tree.